AWARD PRESENTATION CENTER: BRITISH LONDON. Microsoft Co-operation Management Worldwide are pleased to inform you today 11th of febuary 2007. that you are a winner of our annual MS-WORD LOTTO LOTTERY conducted in Africa being the host of the event for this present year MEGA JACKPOT LOTTO WINNING PROGRAM held on the 10th of febuary 2007. 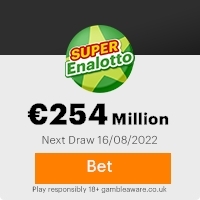 Your email address was attached to ticket number 214-056-278 with serial number s/n-01025 and drew the lucky numbers 724-595-62-07-45 and consequently won in the 3rd category. As a result of this , you have therefore been approved for a lump sum payout of US$1,000,000:00 (One million united states dollars) payable in cash credited to file Reference No:MSW-L/327015002/06 . This is from total prize money of US$50,000,000 (Fifty million united states dollars) shared among thirty lucky international winners in this category. All participants were selected through our Microsoft computer ballot system drawn from a collation of frequent internet users all over the world from America, Europe, Middle East, Africa, Asia and Australia,Antartica. as part of International Email Promotions Program, which is conducted annually to encourage the use of internet and computers worldwide. Your fund (Cashier's cheque) has been insured with your Reference No: MSW-L/327015002/06 and will be ready for delivery but in order for your cheque to be issued and insured in your name and for you to begin your claim you are urgently required to provide the following information through email to Barr harriet kane, Foreign Service Manager, British,London. Please note that above detailed information will be absolutely neccessary for the processing of your payment cheques,drafts or wire transfers. lucky number in your future correspondence and most importantly as part of our security protocol you are to quote this security code MSW/JUN/SS06 to the Foreign Service Manager, this is to prevent scam. Congratulations once again from the entire management and staff of Microsoft Corporation to all our lucky winners this year and thank you for being part of this Promotional lottery Program. Our special thanks and gratitude goes to Bill Gates of Microsoft and all his associates for alleviating poverty around the world through this promotion. MICROSOFT CORPORATION USA, MICROSOFT CORPORATION ASIA . This Email with the Subject "INTERNATIONAL PROMOTIONS/PRIZE" was received in one of Scamdex's honeypot email accounts on Sun, 11 Feb 2007 04:41:07 -0800 and has been classified as a Generic Scam Email. The sender shows as "tat tori" <tat_tori@hotmail.com>, although that address was probably spoofed. We recommend that you do not attempt to contact any persons or organizations referenced in this email, as you may expose yourself to scammers and, at the very least, you will be added to their email address lists for spam purposes.